To prepare the guacamole, first finely dice the jalapeño. Remove the seeds if you prefer it less hot. *Note: Serrano peppers can be substituted or if you have pickled jalapeños in the fridge, you can use 6 to 8 pieces in place of the raw jalapeño. How much you use depends on how hot you like it. It is better to start with less and add more as needed. Next, finely mince the red onion and garlic and finely chop the cilantro. Lastly, cut the avocados in half and remove the pits. Scoop out the flesh, place into a bowl and mash with a fork. Alternatively, you can mash one or two of the avocados and dice one up to create a chunky texture. Add the jalapeño, garlic and cilantro. Mix in the red onion a tablespoon at a time, to taste (some red onions can be very overpowering). Add the juice of one lime, 1/2 tsp sea salt and the ground cumin, if using. Stir and taste for seasoning. Adjust with more lime juice, salt and/or cumin, if needed. 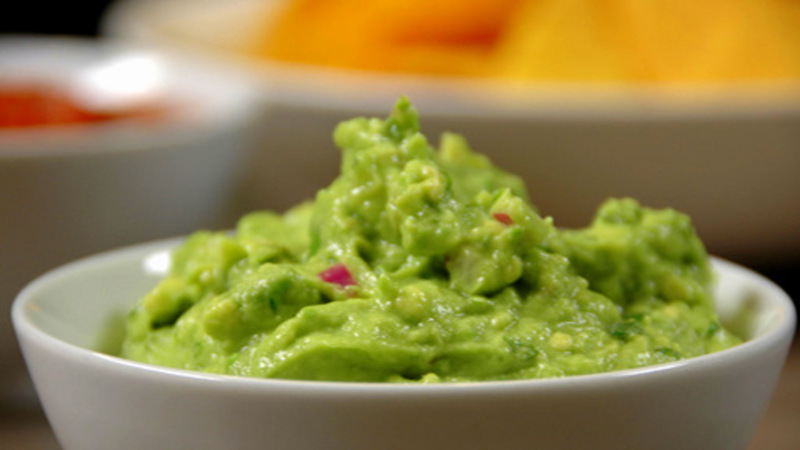 Guacamole is best made and served immediately or, at the very least, within the same day. If you need to store it, be sure to cover the surface of the guacamole with plastic wrap to prevent it from oxidizing and turning brown. Refrigerate until ready to serve. 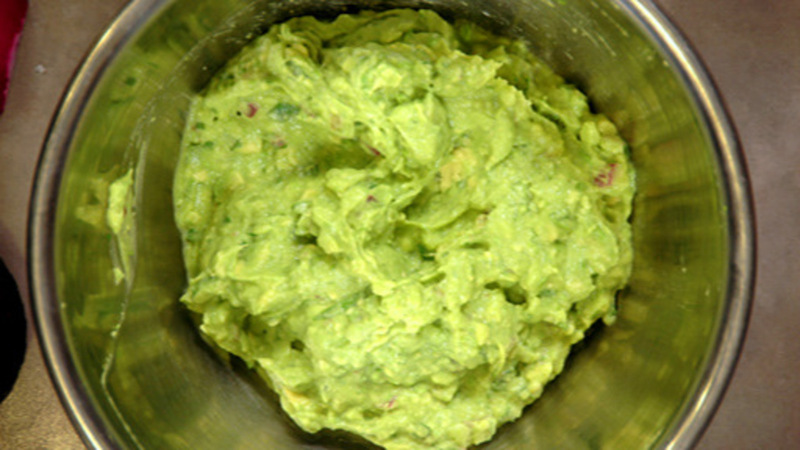 When making guacamole, the trick is to use good, ripe avocados. To check for ripeness, gently press the outside of the avocado. If there is no, or very little give, the avocado is not yet ripe. If there is a bit of give (not too little, not too much) when you press the surface, the avocado is likely ripe. If, however, there is a lot of give, the avocado is likely over ripe. To speed up the ripening, place the avocado into a brown paper bag for a day or so. If desired, seeded and diced tomatoes can be added to the guacamole just before serving. To extend the guacamole, some cooks add a bit of mashed green peas to the mixture. This also makes the guacamole a little healthier and also really brightens up the guacamole. Super good! Next time I'm going to use more Jalapenos, half of one wasn't enough for me. So good ! ... I had a an avocado that needed to be eaten. I had to make a few modifications due to a lack of some of the ingredients ... and it still came out wonderful. Don't be afraid to play with the recipe. Next time, I'm going to make sure I have everything this recipe calls for ahead of time. I'm laughing at myself because I keep looking at recipes that call for cilantro, which I will not consume; it tastes nasty and bitter to me. Is there anything I can use in place of cilantro, or do I just leave it out? Thanks for your help.